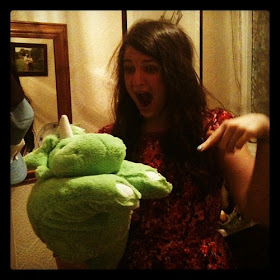 t*rexes and tiaras: friday favourites 062.. This week my brain seems to have been all over the place, to be honest. Work has been busier than I've known it for a long while, which I'm definitely not complaining about, but coupled with the fact that feeling so rotten has been giving me a severe case of the goldfish brain, I've sometimes felt a little as though I've been drowning in all there is to do. I've still had time for a wishlist, though. 001: I love love love this dress. Have you seen the bow on the front? So cute, and yet so totally work appropriate, in my opinion. I don't do pinstripes, or boring suits, I just don't feel like me in them, but a pretty, plain coloured dress could be just what I need for my upcoming conference, right? 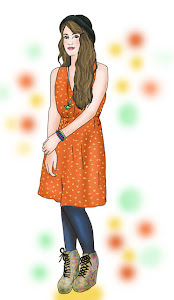 And by a, I mean this one from Paper Dolls..! 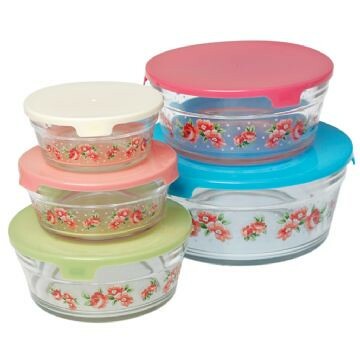 002: I can't remember how I found the Belle and Blue site, but I really like these bowls; the pattern on them reminds me of this one amazing pyrex plate we had in the plate cupboard when I was little, and I love the fact that they have cutely-coloured lids and are stackable. I really need to have a bit of a sort out of my plates cupboard, as everything does seem to be a bit precarious at the moment, all stacked up like Tupperware-Tetris. 003: I've added this coat to the list, but that's a bit of a cheat as I have to admit that it's actually already on it's way to me. I saw it months ago on Tara Starlet's twitter feed and knew I'd have to have it, so I've been following it's progress rather closely. And lucky I did, as it sold out almost as soon as it went on the site. I hope it looks as cute on me as it does on that model. (I know, it's not a magic coat so I shouldn't expect miracles). That coat is so, so beautiful. It's going to look stunning on you. The coat is absolutely beautiful, and those tupperware bowls are so cute. I'm sure we had something similar (but in mustard, orange, and khaki colours) when I was little, too.